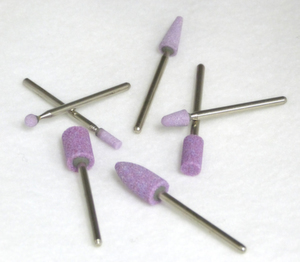 Our NEW Premium Purple Mounted Points are manufactured with Premium Pink fused aluminum oxide grain combined with unique Sol Gel ceramic grain for an extremely long lasting, but cool cutting mounted point. Double the life of a standard mounted point in most cases, the Premium Purple can be used on all ferrous & non-ferrous materials. 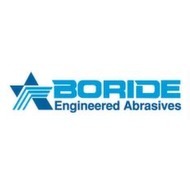 They offer less loading and cooler running lessening the possibility of thermal damage during polishing. Proudly Made in USA & available on 1/8" and 3mm mandrels. Other sizes, shapes and grits available upon request.